1920 Owsley Co. KY Census, Island Cr Precinct. On the 1860 Perry Co. KY Census, Jemima is listed as born in 1849, but she was not on the 1850 Harlan Co. KY Census with the rest of the family. On the 1870 Owsley Co. KY census, she is listed as born in 1851 and in the pension record of husband, Peter B. Gabbard, it is 1852. Ceremony performed by James Baker, Justice of the Peace. Pension record of Peter B. Gabbard, document dated April 8, 1899. 1870 Owsley Co. KY Census - 1851. Pension record of Peter B. Gabbard, document dated April 28, 1922 - 6/4/1852. Pension record of Peter B. Gabbard, from Togin Cassell, document dated Jan. 31, 1932. Donna Goff Gabbard, wife of Roy, who is the grt g/s of Peter B. Gabbard & Jamima Ford. Name is spelled various ways on various records, but is probably Anna after Catherine's mother, Anna Jemima. It was listed as Emma or "Emmy" J. on 1880 Owsley Co. KY Census. 1880 Owsley Co. KY Annotated Census by M. M. Hayes, Dist. 79, HH 54 - 1871. 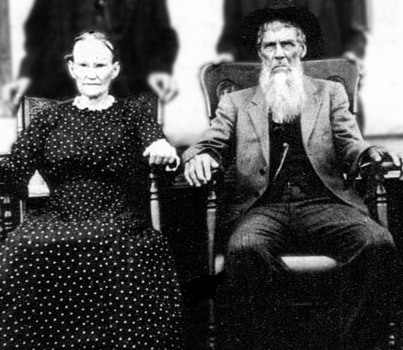 Owsley Co. KY Marriages by R. L. Smith, P. 119 - Henry & Anna (Emma) J.
Sandy Tirey of Booneville, KY, grt granddaughter of Wm. Harrison Thomas. Based on birth of daughter. "Phiby" on birth record. Phoebe on 1860 Breathitt Co. census, HH 405. 1858 Breathitt Co. KY birth record on microfilm at LDS. Headstone picture on the Owsley Cemeteries MyFamily website - William H. Flannery Cemetery. 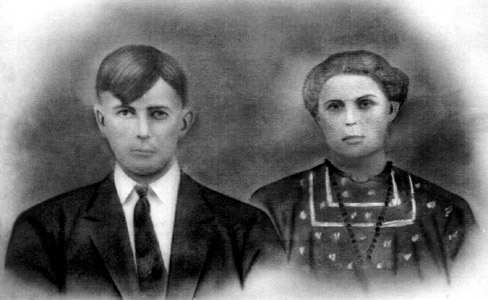 Margaret Hadden, d/o Lucian Thomas & Myrtle Blake. Betty Thomas Finger, grandmother of Amanda Rene Birge.